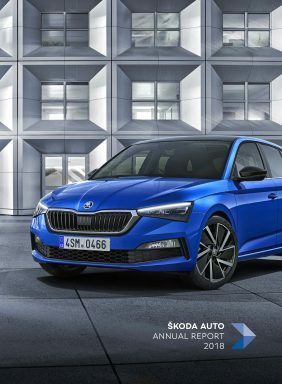 Mladá Boleslav, 20 March 2019 – ŠKODA AUTO CEO Bernhard Maier is now active on LinkedIn. On the business network, he will post exciting information on ŠKODA AUTO and personal assessments of cross-industry topics. In doing so, he is actively engaging in personal communication with journalists, industry experts, people interested in ŠKODA and employees. 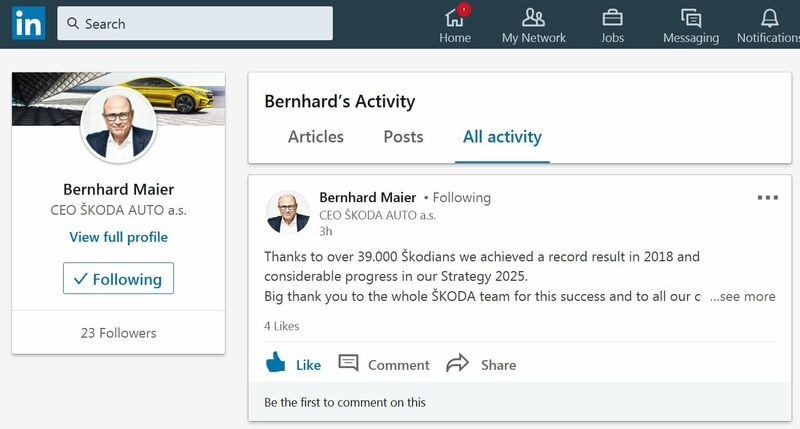 Following ŠKODA AUTO’s annual press conference, the CEO of the Czech automobile manufacturer, Bernhard Maier, is now also active on the LinkedIn business network. He will be sharing information about ŠKODA with his followers and commenting on the current developments in the automotive industry. Site users will also find on his profile exclusive quotes, debates and short videos as well as interesting cross-industry content, such as book recommendations and shared articles. Bernhard Maier has been the CEO of ŠKODA AUTO since November 2015 and is driving forward the company’s reorientation as part of Strategy 2025. Under his leadership, ŠKODA AUTO has introduced new, important models such as the KODIAQ, KAROQ and KAMIQ SUV series. With over 1.25 million vehicles delivered, 2018 was the most successful year in the company’s history.